Is your feed pusher system efficient? Are you the "feed pusher" at your dairy? Do you have to sit in a skid steer loader twice a day to complete the job? Or is it an after-school chore for your kids, involving a broom or shovel? Are their schedules, such as basketball, wrestling, choir practice or social activitities distracting them from consistently pushing feed up to the cows? What are your cows eating at 2 a.m.? Yes, pushing feed is a responsibility for the night shift, but are you sure it is always done? If the answers to any of these questions are yes or I don’t know, then your operation could benefit from a Lely Juno automatic feed pusher. Now is the time to add the most dependable and widely used feed pusher system to your feeding team, while taking advantage of big savings in your pocketbook. Give your farm the gift of labor efficiency and fuel savings as well as improved feed efficiency and milk production. 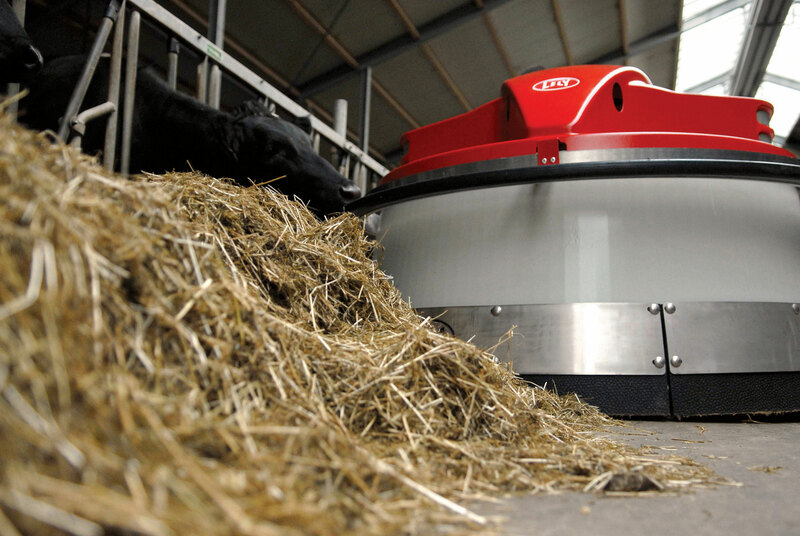 Plus, have the peace of mind that the Lely Juno delivers with 24/7 reliability and flexibility. Pushing up feed shouldn’t be a chore. Let Lely automation take over the job today.